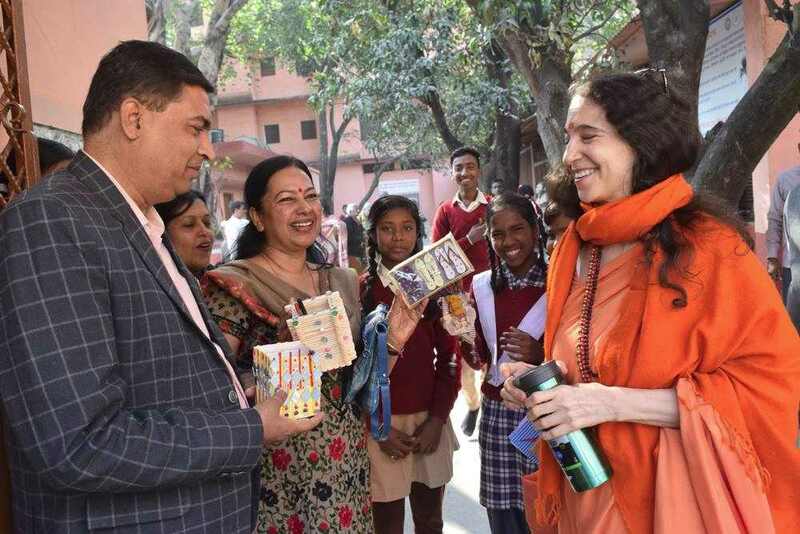 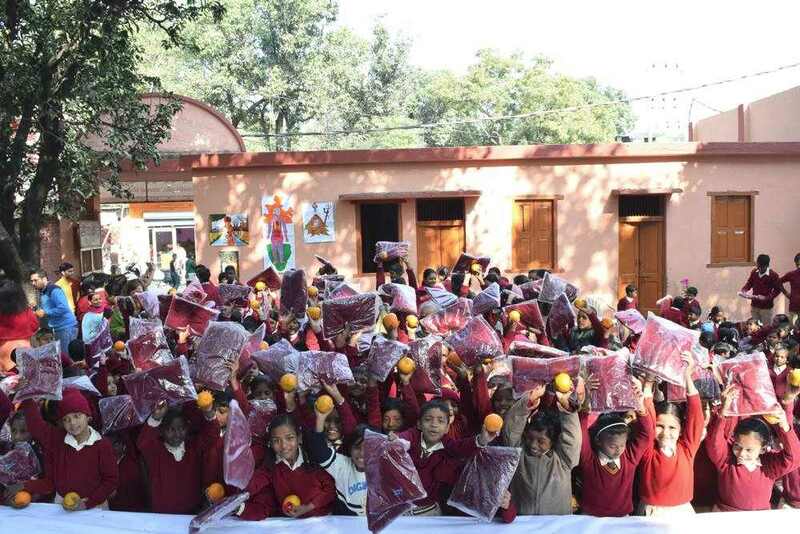 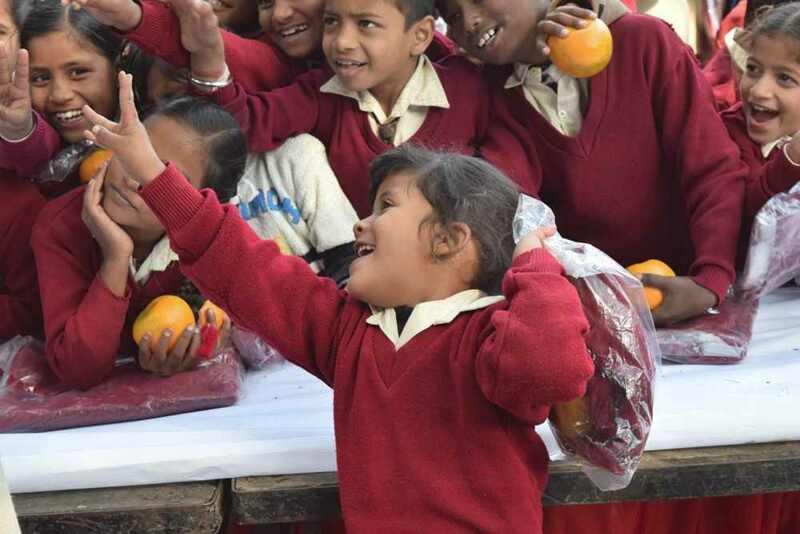 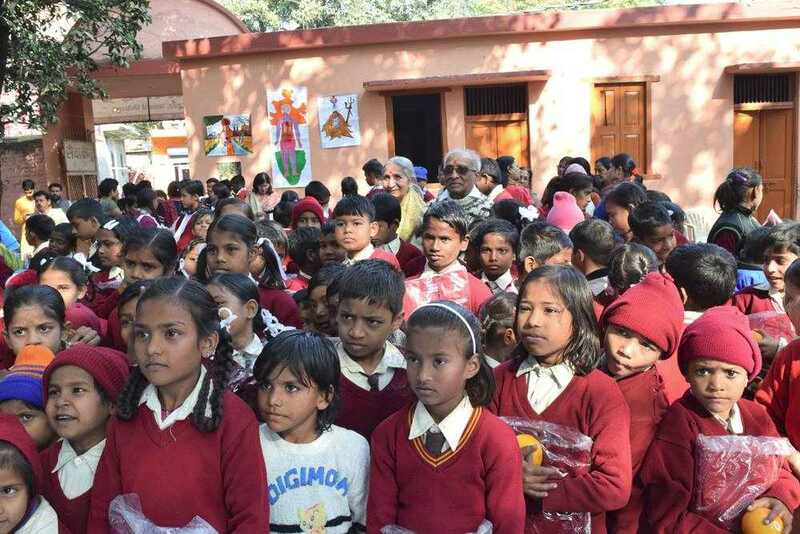 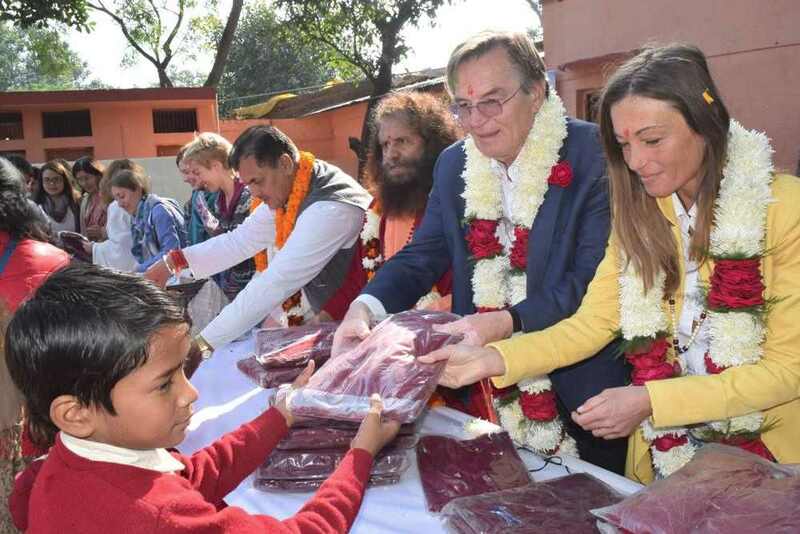 On the auspicious occasion of Christmas Eve, a beautiful program at the Parmarth Vidya Mandir School, Prakash Bharti, a project of the Divine Shakti Foundation, was held where warm sweaters and fruits were given to all children. 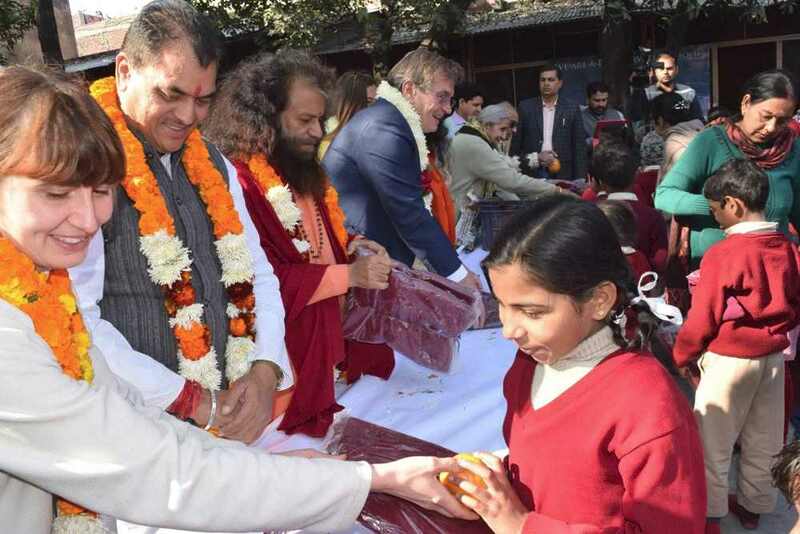 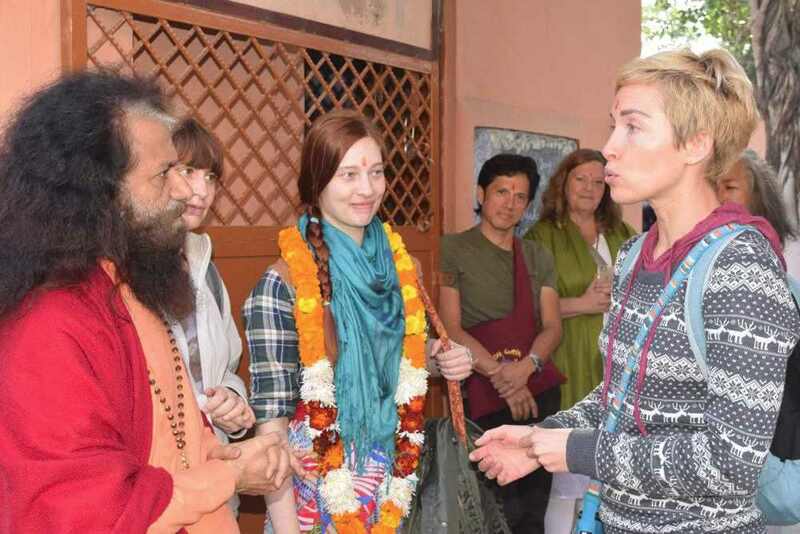 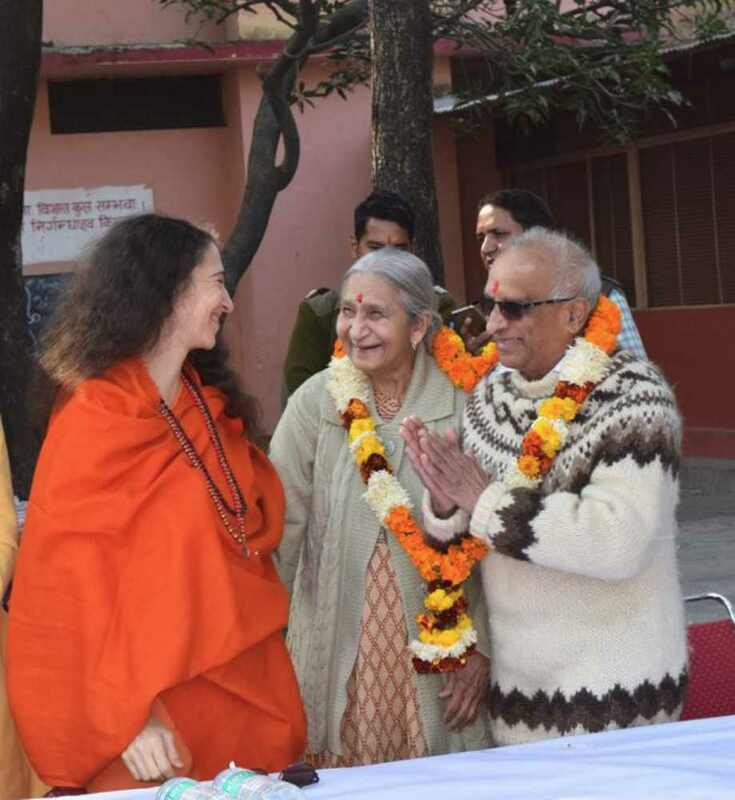 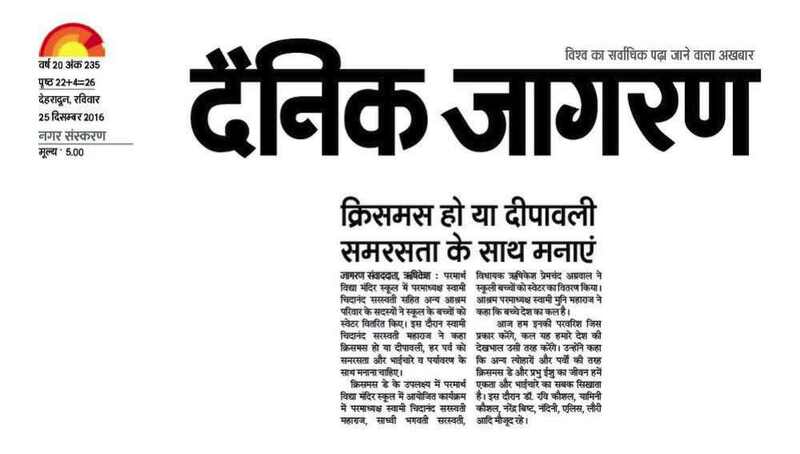 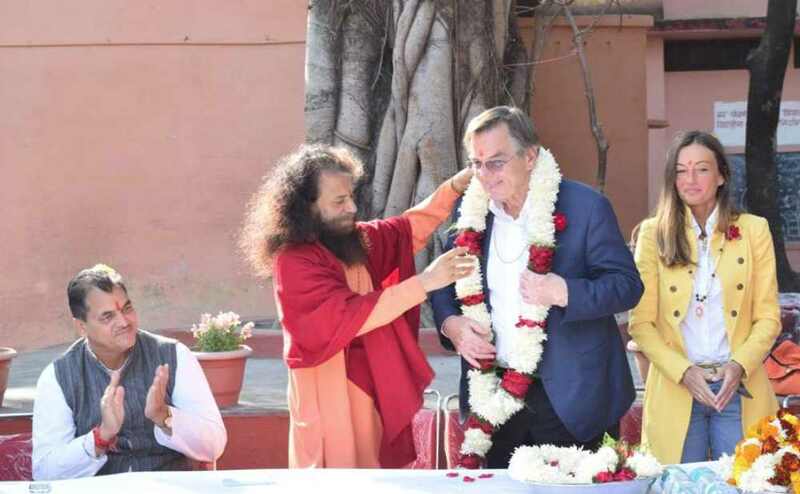 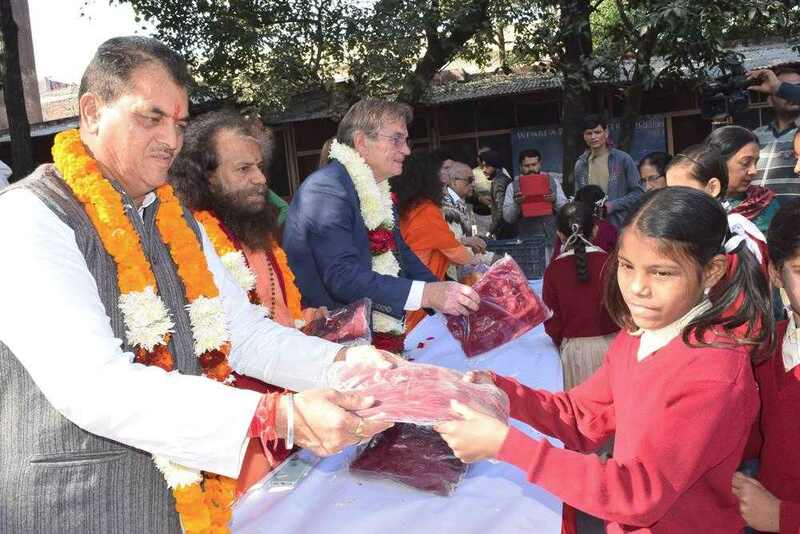 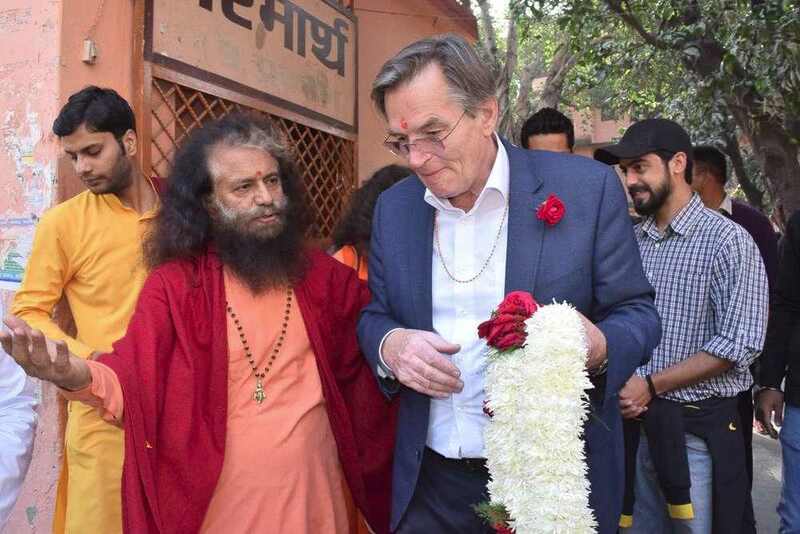 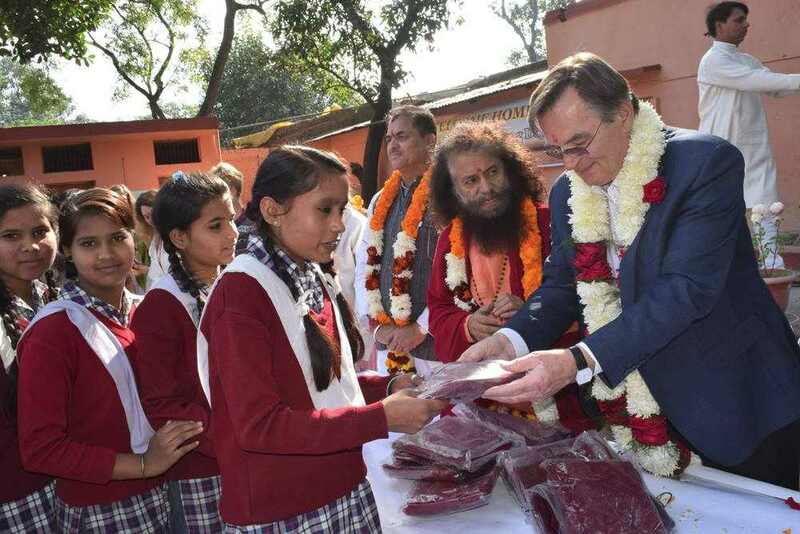 His Excellency Haris Silajdzic, Former President and Prime Minister of Bosnia and Herzegovina and his wife Selma Muhedinovic-Silajdzic joined Pujya Swamiji and Sadhvi Bhagawati Saraswatiji as well as divine souls Dr Ramanbhai Patel and his wife Shakuntalaben and volunteers and members of the Parmarth family from all over the world. 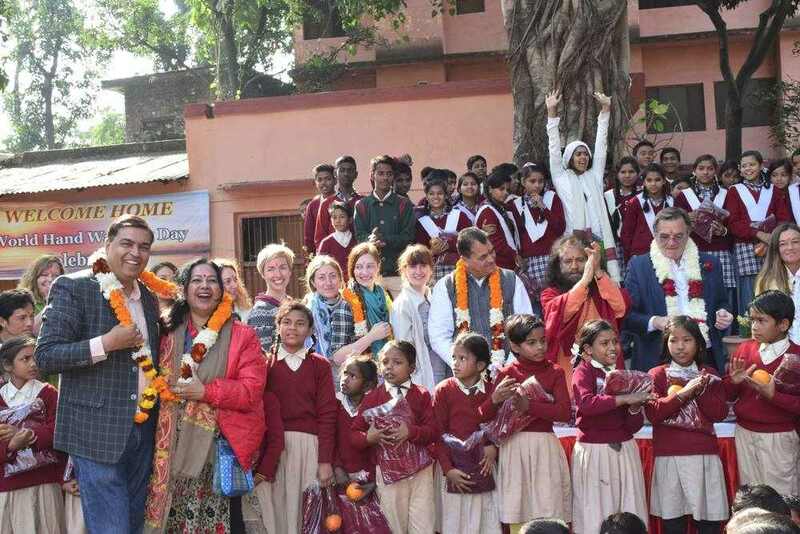 The special Guest of Honour was Premchand Aggarwal MLA Rishikesh who was welcomed by all and honoured for his leadership. 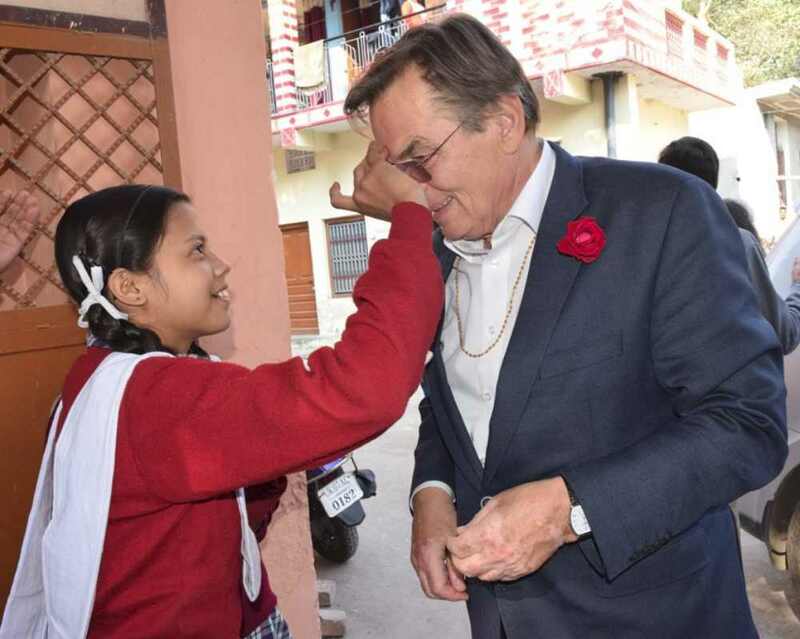 Just after the event, plans to improve the DSF vocational training centre and sewing centre already running in the afternoon after school hours were also made. 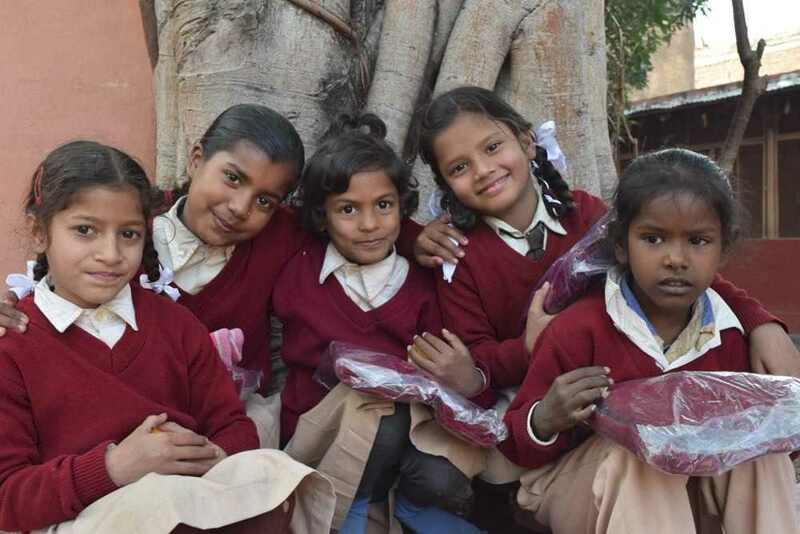 The skills centre provides skills training and a source of livelihood for mothers and older sisters of the children going to school there.